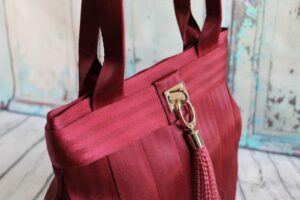 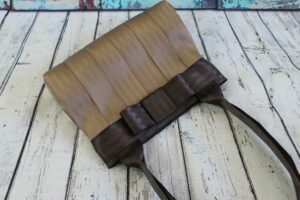 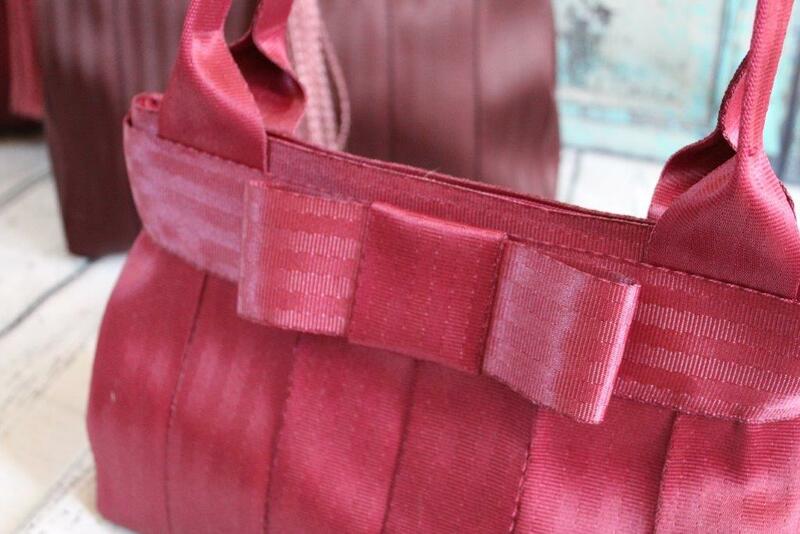 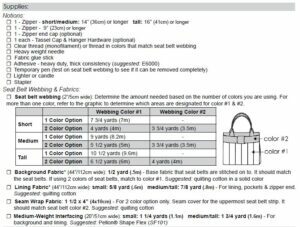 The Everyday Bag sewing pattern will take you step-by-step to creating a customized bag made of seat belt webbing! 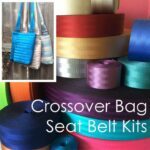 Seat belts are shiny and luxurious, yet is extremely durable and easy to clean and to sew! 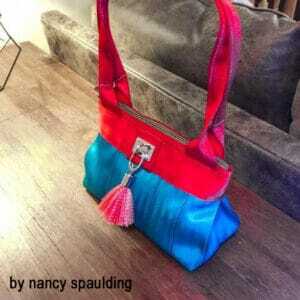 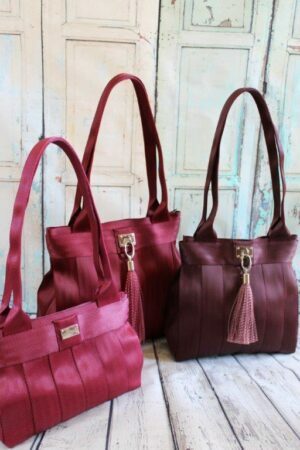 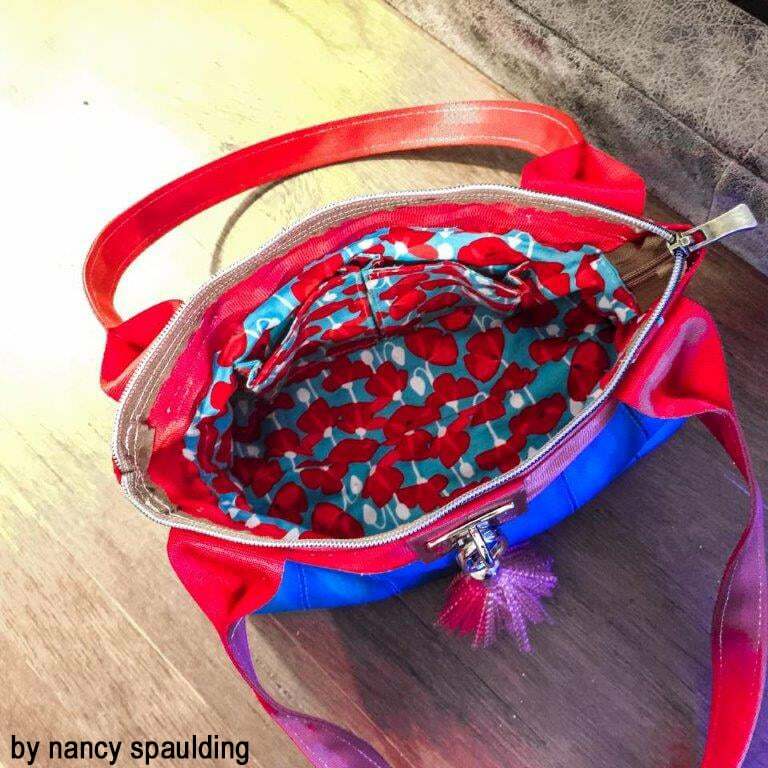 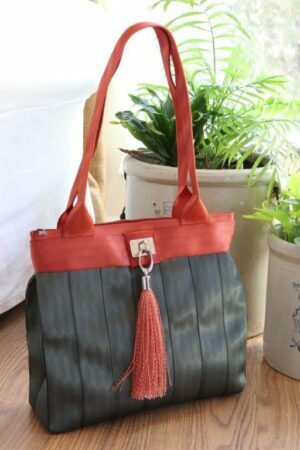 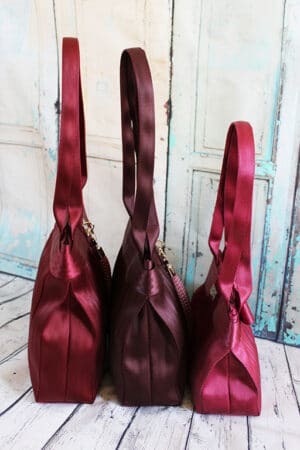 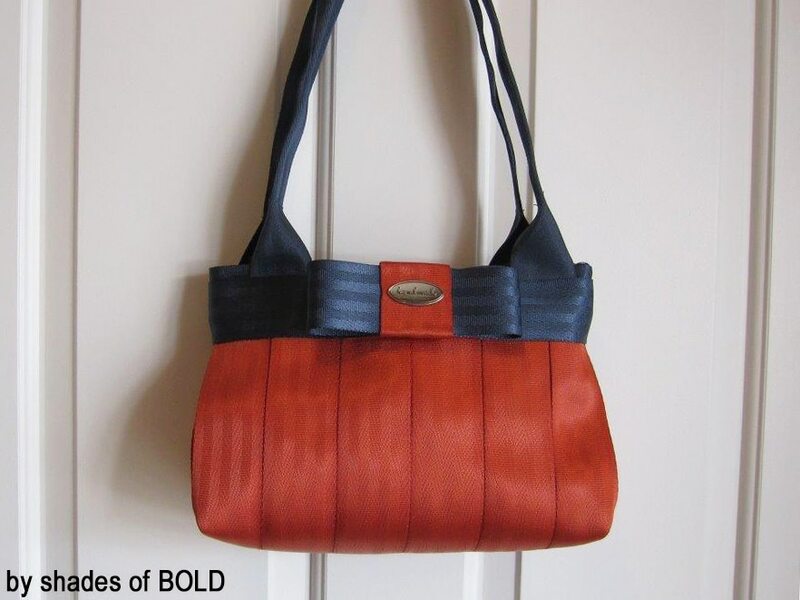 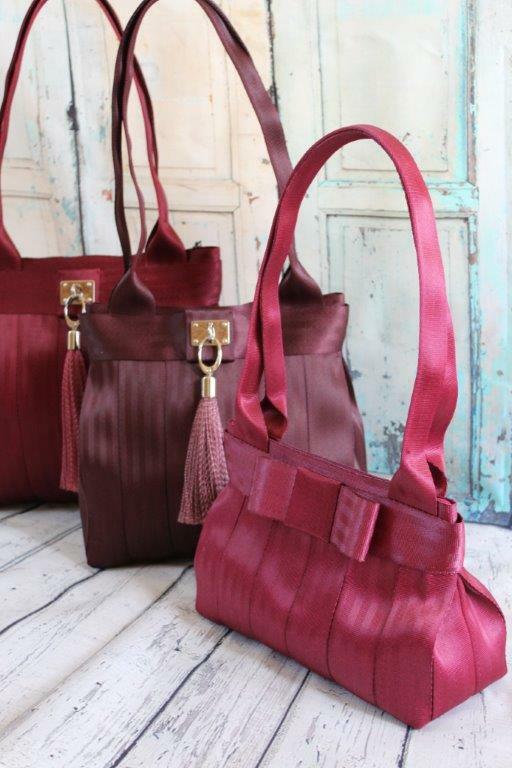 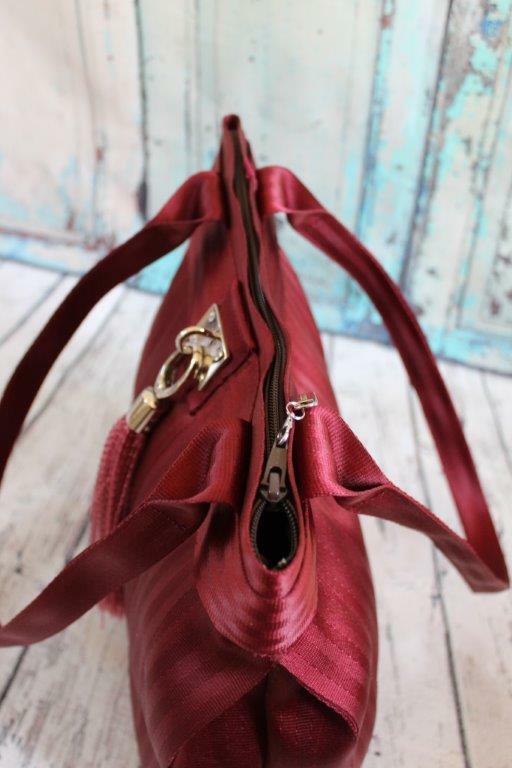 The Everyday bag is a roomy design with 3 size option. 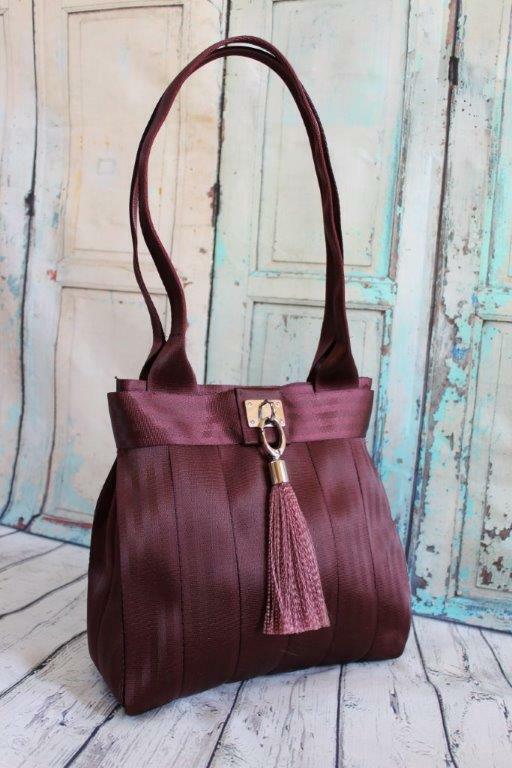 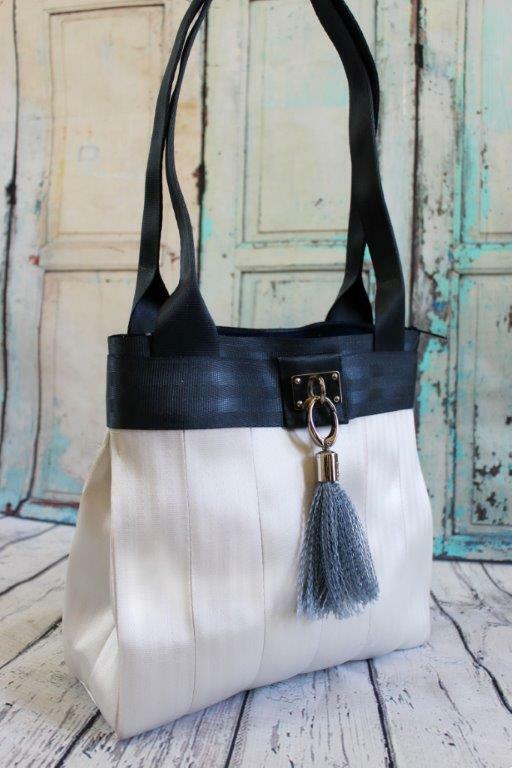 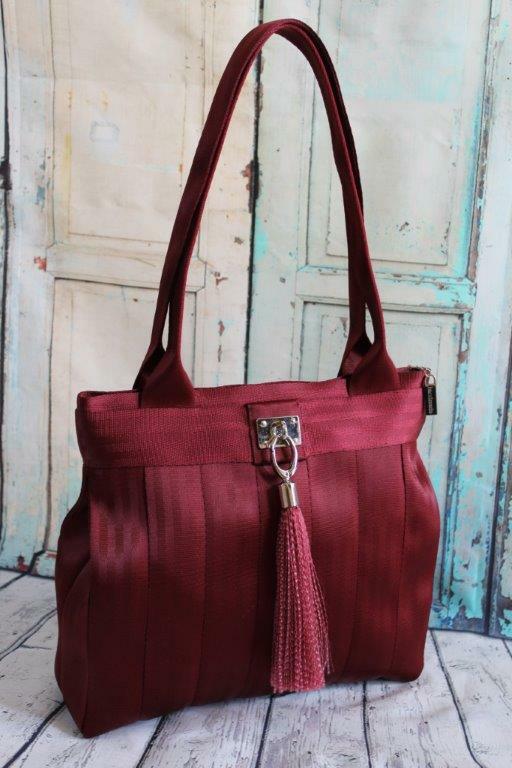 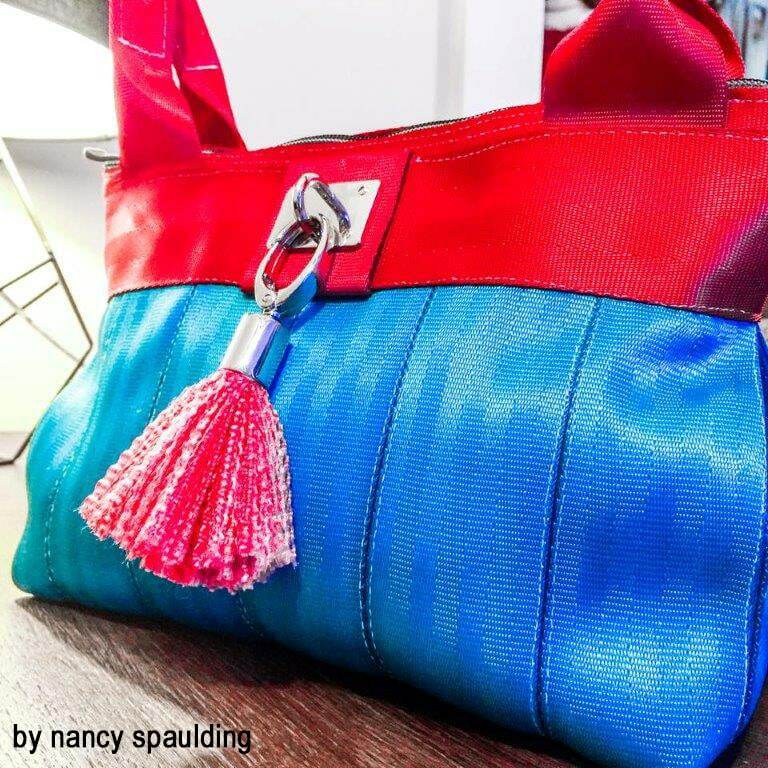 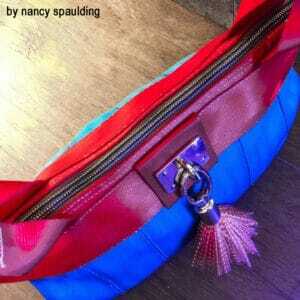 The accent wrap highlights the addition of a tassel, bow or other hardware. 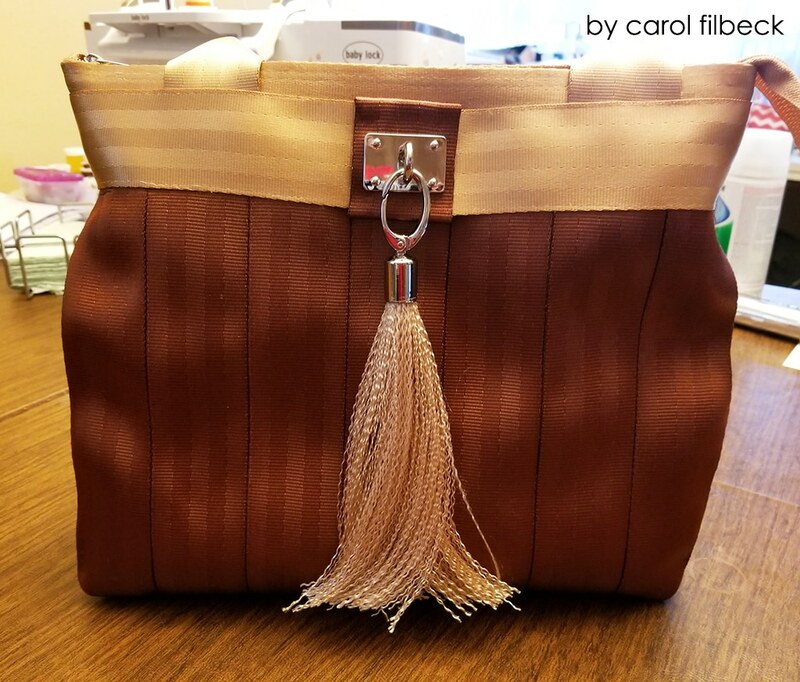 The side panels are pleated for added interior space and a zipped top keeps items secure. 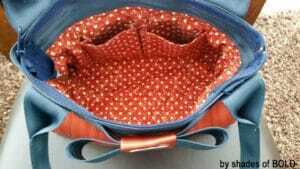 Inside there are two bellow pockets and a zipped pocket. 26″ long handles with a 11 1/2″ drop. 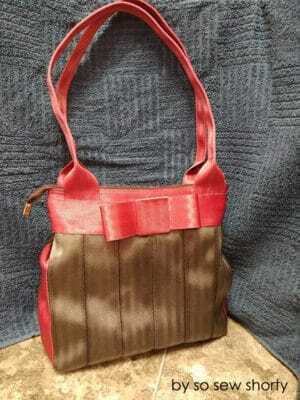 Includes instructions for 3 size options. 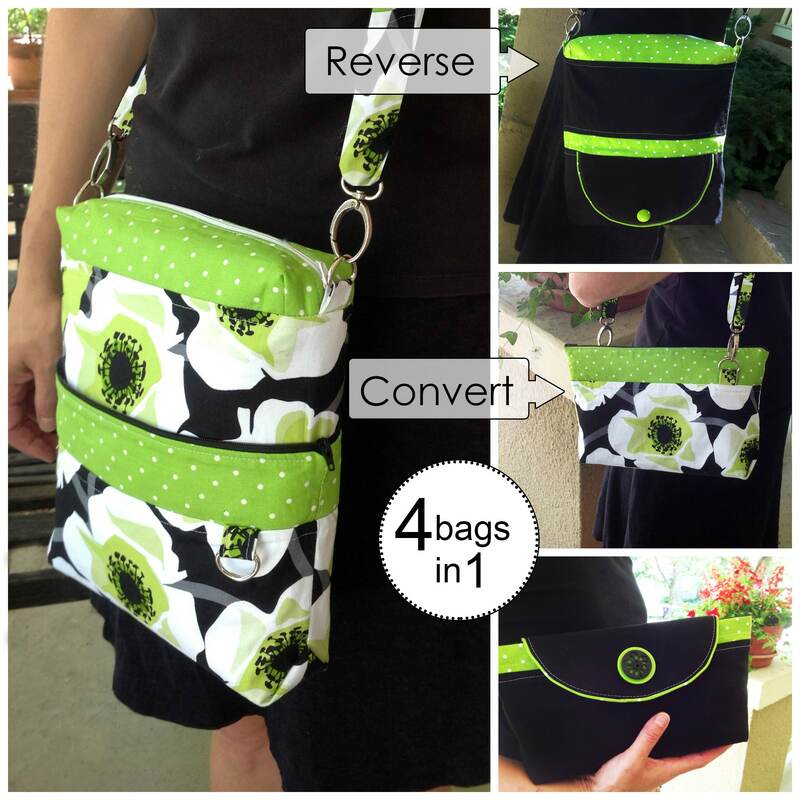 Stitch up a matching Tri-Fold Wallet or Pouch Trio for a complete ensemble! 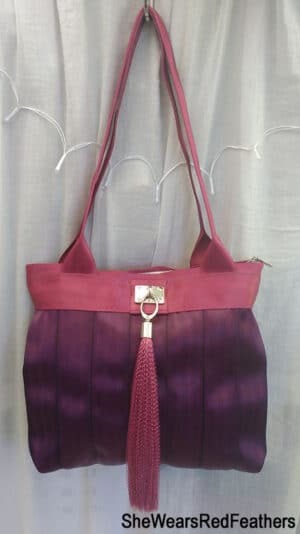 Scroll down for more details and complete supply list. Copyright Info: (c) 2018 S. Gido. All Rights Reserved. 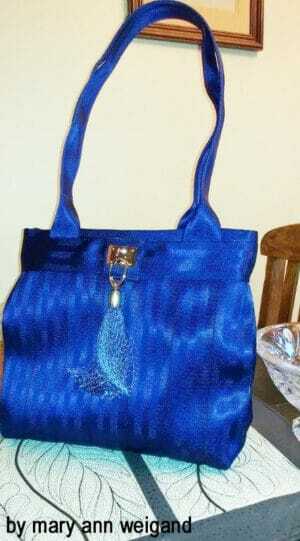 You are welcome to use this pattern to create items for commercial sale in small quantities. 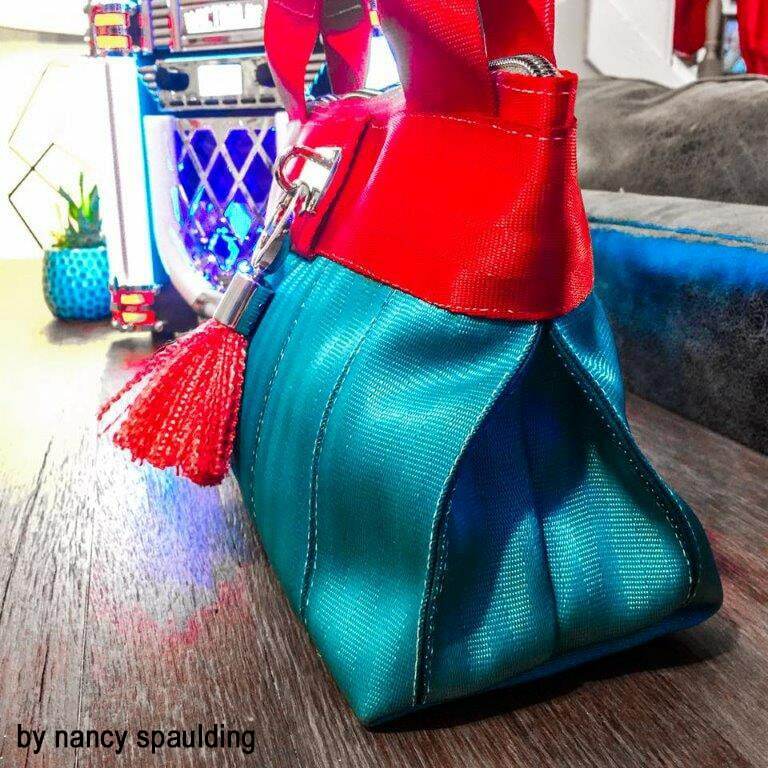 Please give design credit to Cozy Nest Design on online listings. 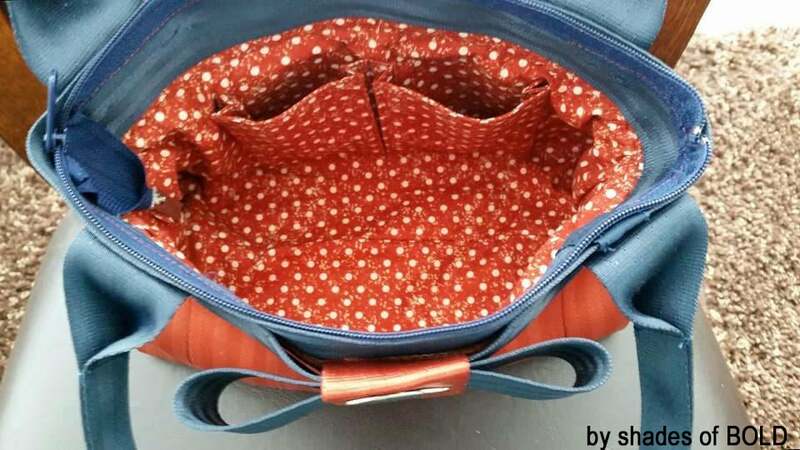 No portion of this pattern may be distributed by any method for commercial or personal use. 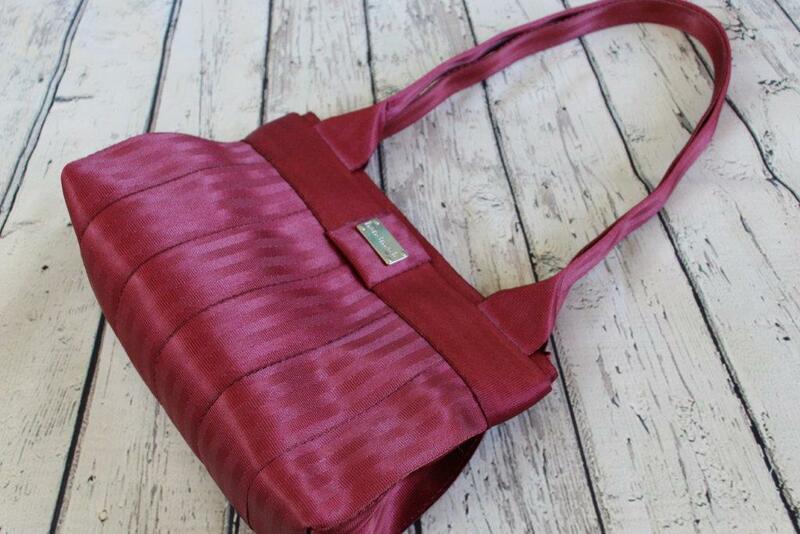 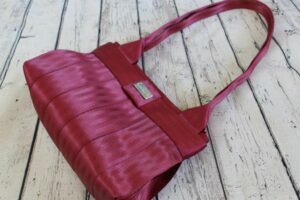 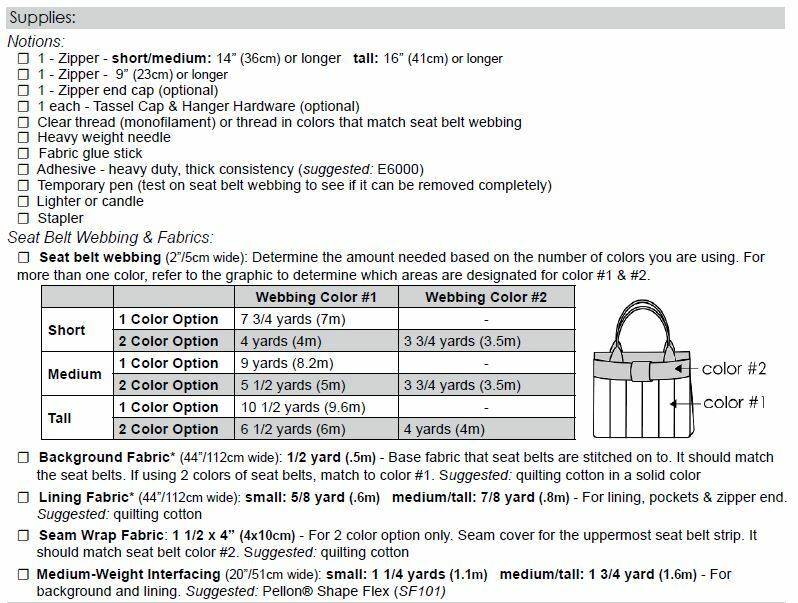 Be the first to review “Seat Belt Series: Everyday Bag Sewing Pattern” Click here to cancel reply.